The top-seeded ’76-’77 Montreal Canadiens were looking to take a 2-0 series lead in this semifinal and they took hold of this game early. They potted two goals in the first period, one each from Guy Lafleur and Guy Lapointe, and in the process put 20 shots on goal in just the first 20 minutes. The Canadiens opened up a 3-0 lead in the second period with a goal from Jacques Lemaire 12 and a half minutes into the period. Montreal looked to be on their way to another dominant performance, especially after they outshot the Bruins 32-10 in the first two periods. Boston goaltender Gilles Gilbert was the only reason the score wasn’t more out of control. However, the Bruins turned up the pressure in the third and finally broke through against Ken Dryden with a goal from Ken Hodge almost eight minutes into the period. A few minutes later, legendary defenseman Bobby Orr potted his sixth of the tournament and made it a one goal game. 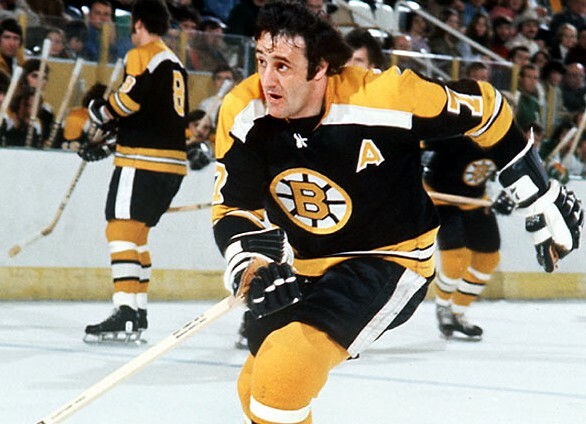 The Bruins completed the comeback when Phil Esposito potted his 14th goal of the tournament with Orr providing the lone assist, which was his 13th of the tournament. Regulation would end with a 3-3 score and the Canadiens still held a major shot advantage at 47-21. It was clear at this point that Gilbert was going to be one of the stars of the game. However, he would certainly be the #1 star of the game after the game ended in the 2nd……yeah the 2nd overtime period. The first overtime ended without a goal with each team having a shot at the power play thanks to an unsportsmanlike conduct penalty on Montreal defenseman Pierre Bouchard, right off the opening face off, and a cross-checking penalty on Boston defenseman Carol Vadnais, his second penalty of the game. In the second overtime period, each team had a PP opportunity through the first 10 minutes of the period and neither capitalized. Then, with just under five minutes left in the 2nd overtime, the same guy who sent this game into overtime ended it when Esposito potted his 15th of the tournament. The Bruins now head back to Boston for Game 3 with the series tied at one, after being outshot 104-53 in the first two games, including 72-40 in Game 2. Gilbert’s 69-save performance is one of, if not, the best performances of the entire tournament. Game 3 will be Saturday night! Game 2 of the other Semifinal matchup between the 19th-seeded ’88-’89 Calgary Flames and the 23rd-seeded ’79-’80 Buffalo Sabres takes place tomorrow night! This entry was posted in Semifinal, Ultimate NHL Playoff and tagged Bobby Orr, Boston Bruins, Carol Vadnais, Gilles Gilbert, Guy Lafleur, Guy Lapointe, Jacques Lemaire, Ken Dryden, Ken Hodge, Montreal Canadiens, Phil Esposito, Pierre Bouchard, Semifinal, Ultimate NHL Playoff. Bookmark the permalink.